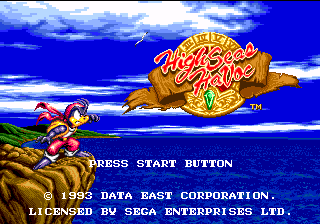 High Seas Havoc, known as Captain Lang (キャプテンラング) in Japan and just Havoc in Europe, is a platform game developed by Data East for the Sega Mega Drive in 1993. An upgraded version of the game was also released exclusively in South Korea, for a bespoke Data East-made arcade board based on the Mega Drive in the same year. 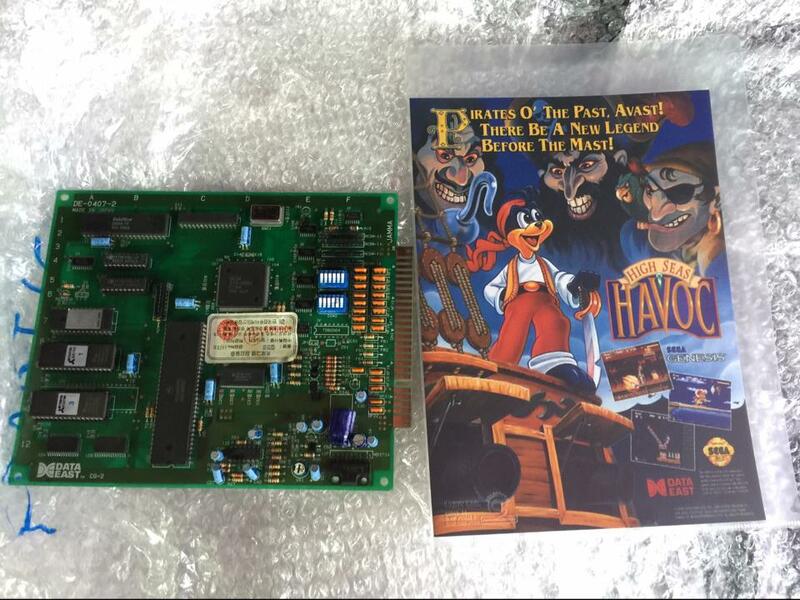 Interestingly the PCB ID is "DE-0407-2" which might suggest there is another unknown Mega Drive based board out there. In the game you play as an anthropomorphic seal named Havoc (Lang in the Japanese version) on a quest to rescue a girl named Bridget from the evil pirate Bernardo. All controller buttons are treated the same. Pressing once jumps. Pressing while in midair does a spin attack. Pressing while crouching (hold ) lunges forward in a roll. Jumping on enemies destroys them and jumping on treasure chests opens them. The first stage "Cape Sealph" has been removed for the PAL version, which starts with the second stage "Pirate Ship". The data is still on the ROM however, and can be accessed using cheating devices. Special Thanks to: Masato Noguchi, Steve Miller, Yasuro Koideya, Hisatada Ohta, Eisuke Tsuzawa, Syuji Ishimaki, Manabu Yokoi, Yukie Shiraiwa, Ayumi Kitazawa, Mari Matsuzaka, Konoa, Data East USA, Inc.
Main article: High Seas Havoc/Magazine articles.